This also is a part of the Church’s teaching, that the world was made and took its beginning at a certain time, and is to be destroyed on account of its wickedness. 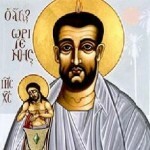 Origen was a scholar and early Christian theologian who was born and spent the first half of his career in Alexandria. He was a prolific writer in multiple branches of theology, including textual criticism, biblical exegesis and hermeneutics, philosophical theology, preaching, and spirituality.